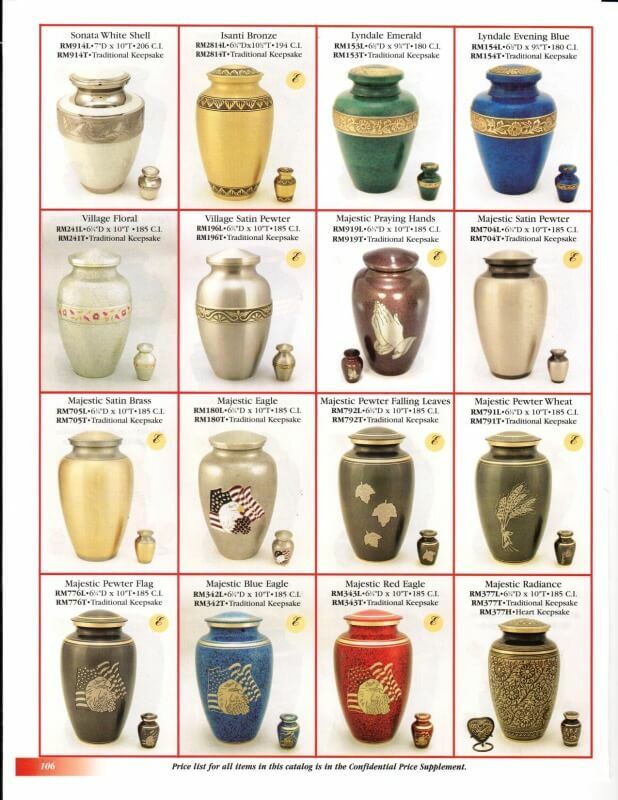 This is the current 2015 Mark Thomas Catalog. 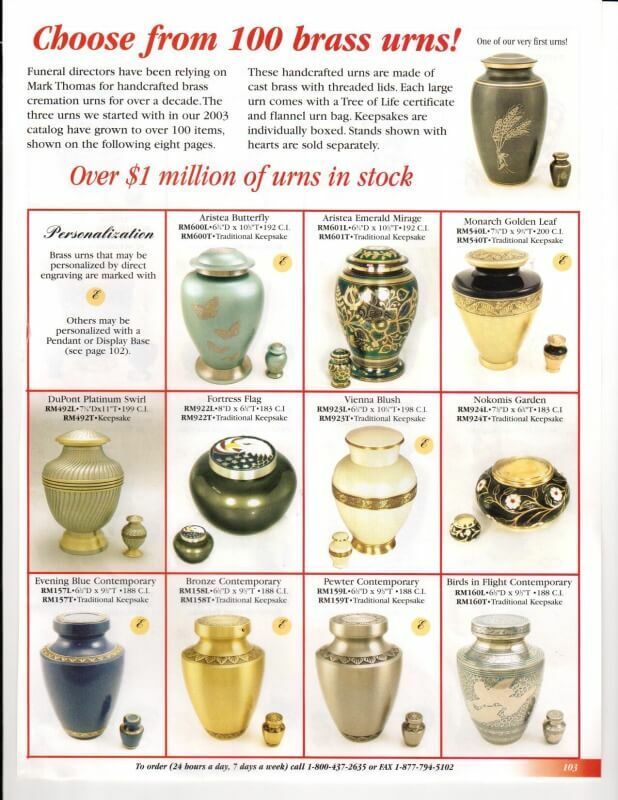 As you see all of the Large Urns also have a matching keepsake for an additional charge. 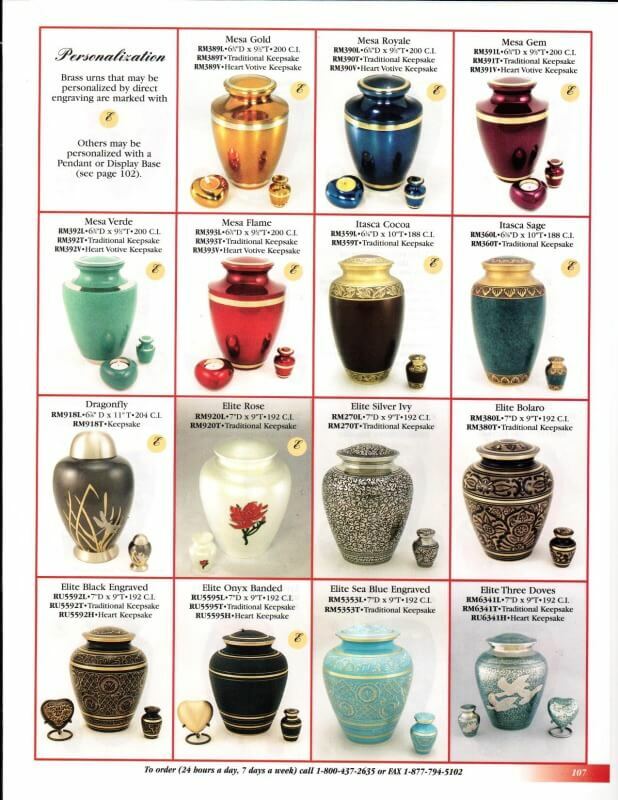 There is a wide variety of colors, designs, etc. 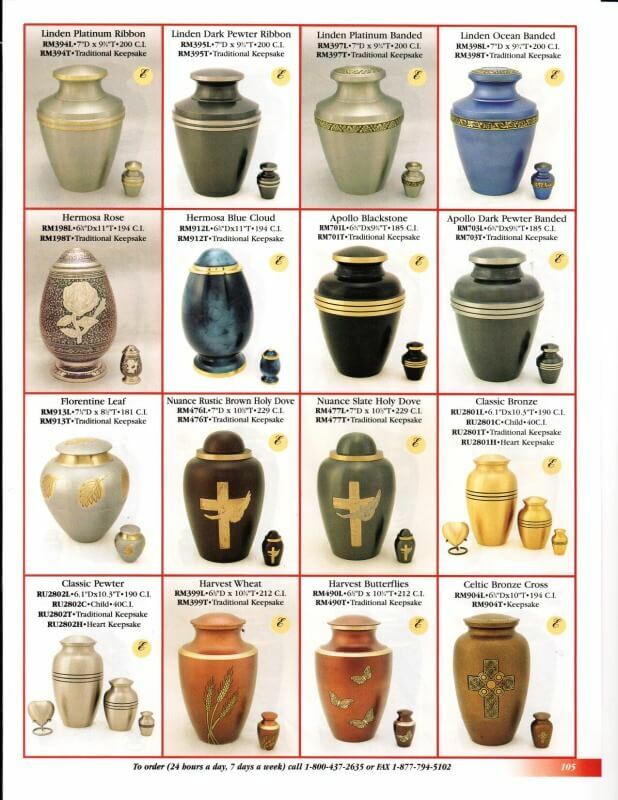 to choose from. 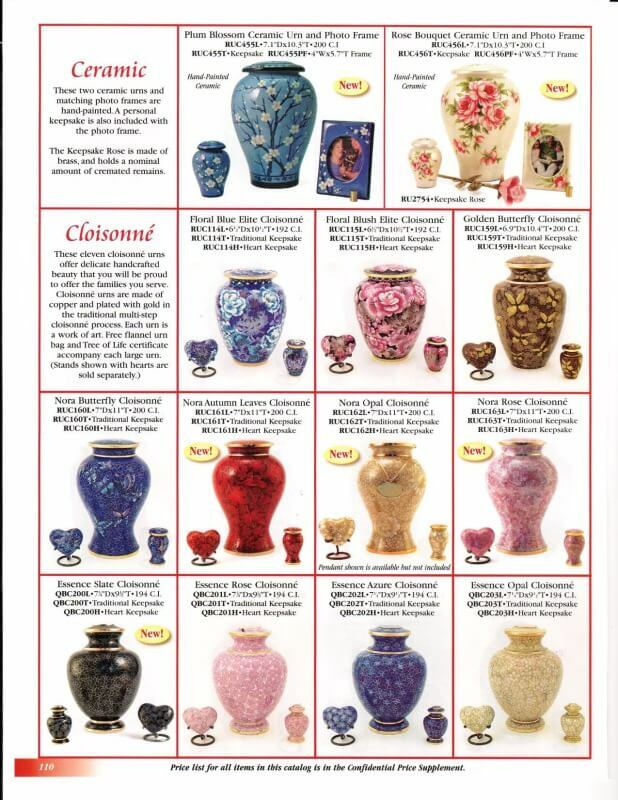 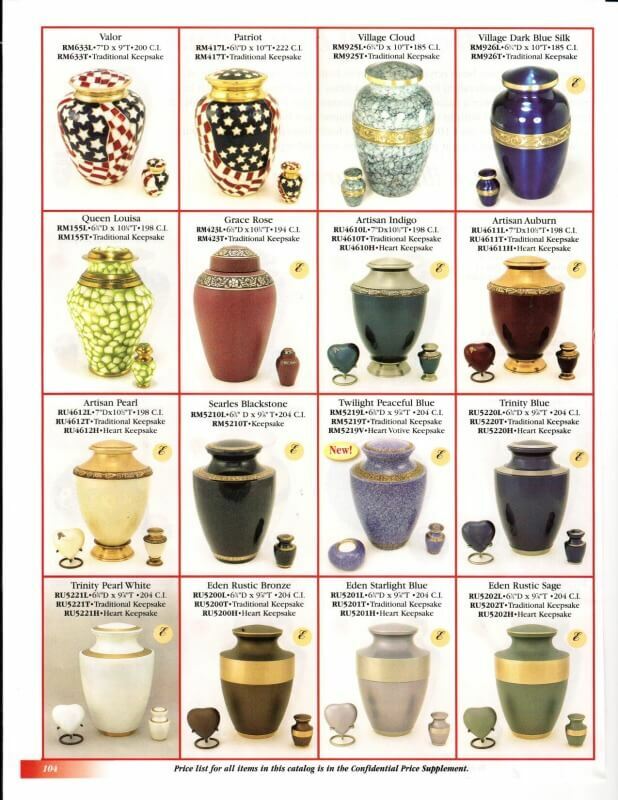 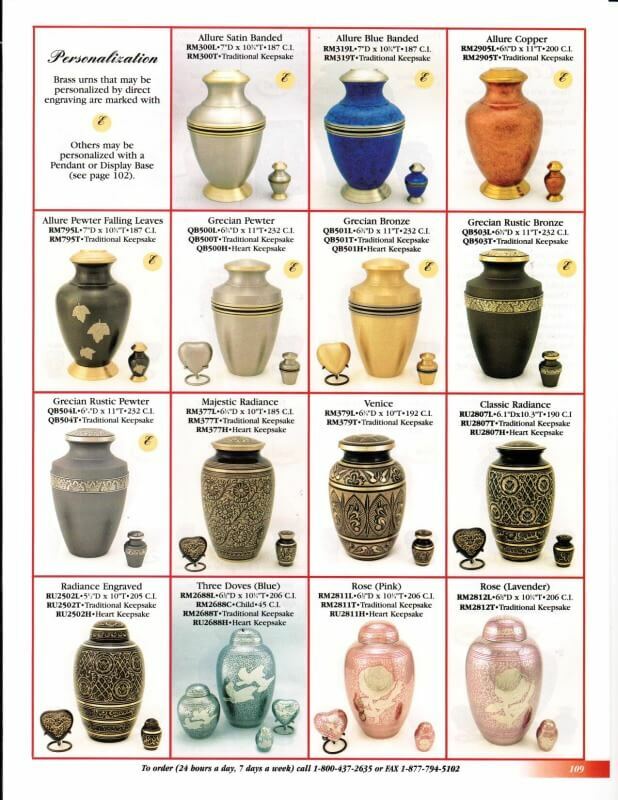 These are beautiful urns to place your loved one in, and present them in an elegant urn for their final resting place. 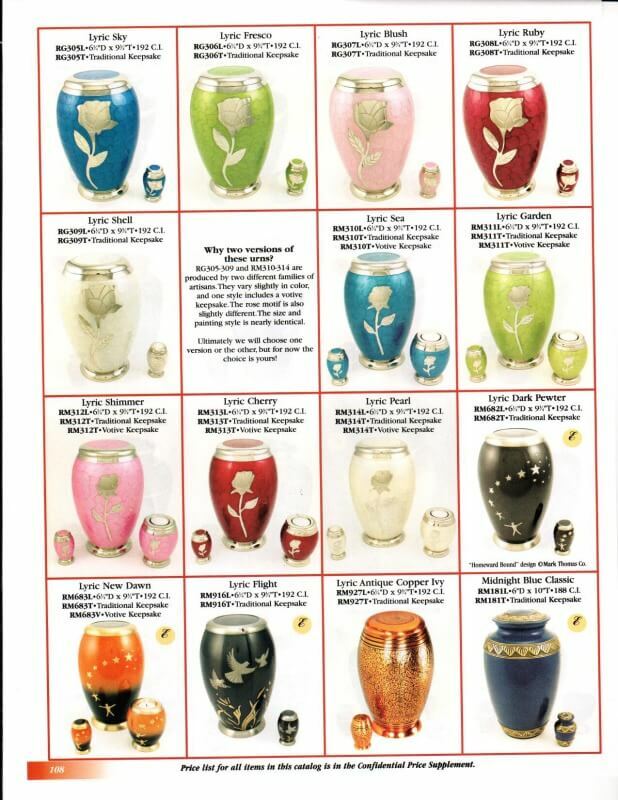 These look beautiful on a mantel or shelf in the quietness of your own home.